We have good news for commuters, concertgoers and sports fans, plus anyone else wandering in the culinary wasteland near Grand Central or Penn Station. Two of New York’s newest food halls--Urbanspace Vanderbilt and The Pennsy are exciting additions in neighborhoods greatly lacking good restaurant options. Both offer a one stop dining smorgasbord and just might make you look forward to your next commute. Trending: New York has seen an explosion of gourmet food halls in the last few years bearing no resemblance to the sad mall and airport food courts we all grew up going to. This latest NY craze has given us some incredible indoor spots such as: Hudson Eats, Gotham Market West, The Plaza Food Hall and City Kitchen near Times Square. Grabbing a quick bite has never been so much fun! And with Anthony Bourdain opening a massive food hall in the next year or so this is a trend that is not fading any time soon. Grand Market: Urbanspace Vanderbilt is home to over 20 vendors in a cool industrial 12,000 square foot space, located just a block away from Grand Central. (The entrance is on the corner of 45th and Vanderbilt.) This is the first permanent space from Urban Space-- the team behind popular, seasonal Madison Square Eats and the Union Square Holiday Market. Grab a coffee at Tobey’s Estate, a gyro at Amali or some ramen at Ippudo’s Kuro-Obi. There’s also Red Hook Lobster Pound, Mimi’s Hummus and Two Tablespoons for veggie and gluten free dishes. Two of the biggest draws are Roberta’s Pizzas and Delaney Chicken. Word has caught on and it’s packed with lunchtime crowds, try and go ‘off-peak’. 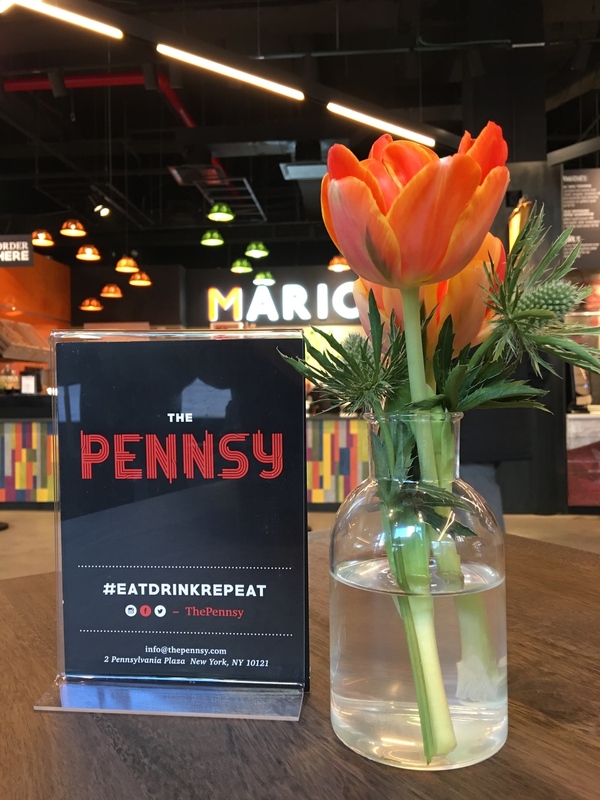 Penn Plaza: The Pennsy’s website asks the question: “What happens when 4 Chefs, a Butcher and a Caterer walk into a bar?” The answer is the brand new Pennsy, an 8,000 sq. foot gourmet food court on the same block as Madison Square Garden and Penn Station. 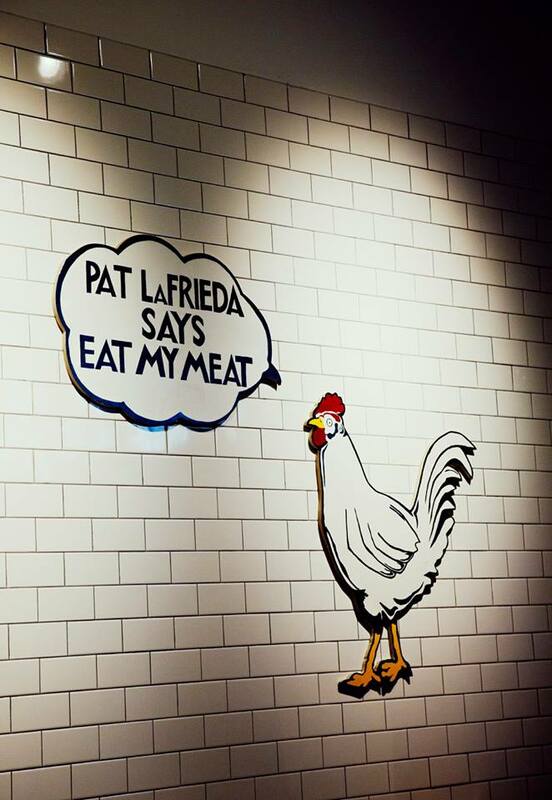 There’s lounge seating, high tops and communal tables where you can sample food from chefs Mario Batali, Marc Forgione and Franklin Becker. Popular food truck Cinnamon Snail will appeal to all our vegan friends who wont indulge in the steak sandwiches from famous butcher Pat LaFrieda’s first freestanding storefront. There’s a full bar to grab a drink before a Knicks or Rangers game, and come warmer weather The Pennsy will open a large outdoor seating area.